New Spirit is from Andy Warhol’s Ads portfolio. The Ads portfolio was released in 1985 and was one of the last portfolios released before his untimely death in 1987. The Ads prints are considered to be particularly important works for Warhol because of his fascination with American advertising, consumerism and commercialism, three major themes of his life’s work. More than any other artist of his generation, Andy Warhol understood how the reproduced image had come to reflect and shape contemporary life. Indeed, it was second nature for Andy Warhol, having begun his career in the advertising world of New York City in the late 40s. 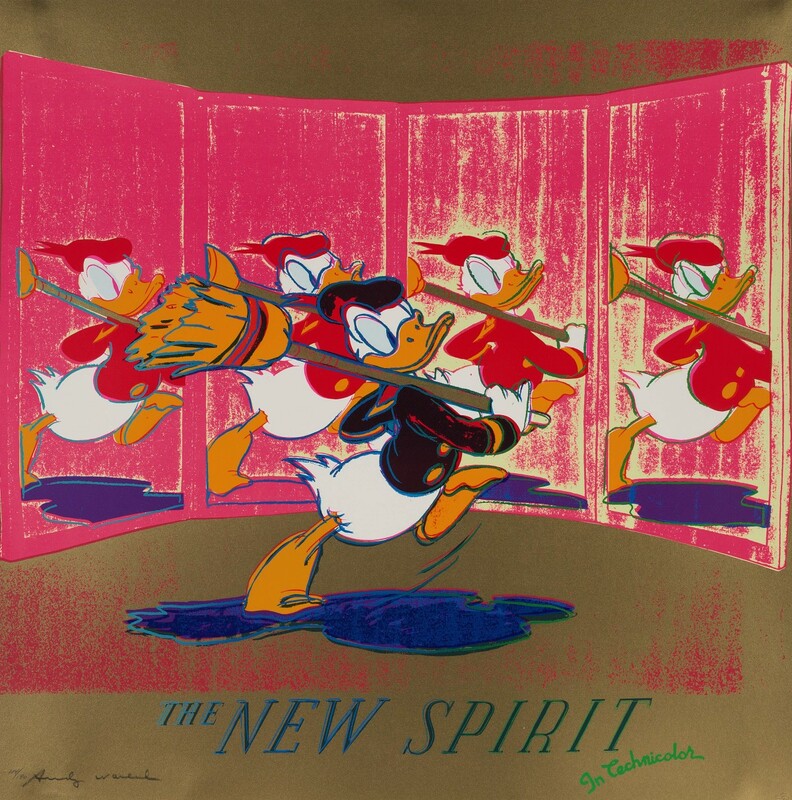 The title of this piece, New Spirit” is from the wartime propaganda film created by Walt Disney for our government during WW II. The film’s intent was to inspire income tax filings and was nominated for an Academy Award for Best Documentary feature in 1943. By using this image in the popular Ads series, Warhol was commenting on the government’s use of mass media and it’s impact. Do you have this work available? What is your dealer net price? What about condition? Hello, ist this a Poster ? And what is the price of it ? Shipping To austria possible?